The 225 poker tables in the Keystone State generated a combined $5,089,041 in revenue last month, according to figures released by regulators this week. 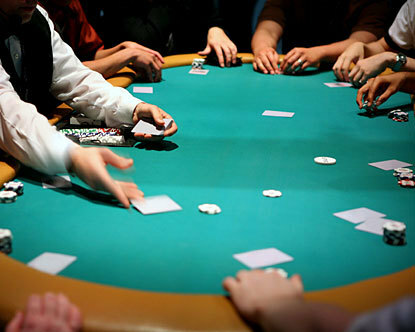 Parx casino, equipped with 45 tables, led the way with $1,552,474 in revenue. The state’s 10 poker rooms took in $5,035,223 in May 2016, so revenue was basically flat year-over-year. The poker rooms raked $25.46 million through the first five months of 2017, also virtually unchanged from the same period a year prior. The poker rooms raked $58.6 million in calendar year 2016, about $1 million more than revenue generated in calendar year 2015. The poker rooms have raked $397.8 million since table games began in the state about a decade ago. The 12 Pennsylvania casinos had May 2017 table game revenue of $74.4 million, an increase of 4.4 percent over May of last year when revenue was $71.3 million. When that amount is combined with May slot machine revenue, total gaming revenue of $277.7 million was down 0.89 percent compared to May of last year. Pennsylvania’s casino industry won an all-time high $3.2 billion from gamblers last year, but that was less than two percent more than gaming revenue in 2012. In an effort to boost stagnant gaming revenues, Pennsylvania is considering a plan to regulate online casinos. The bill currently sits in the Senate for debate.